The Mulranny Golf links, like the scenery, is very easy on the eye but always manages to tame the discerning golfer even before the wind gets up. On a calm morning with a flat sea, it is just heavenly and inspirational for great golf. Open all year round a 9 hole links with 18 tees. Natural links with undulating Fairways and Greens. 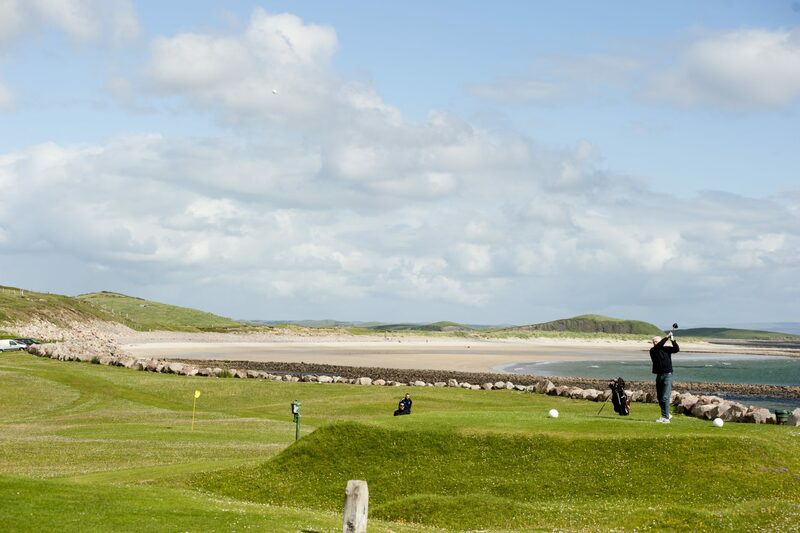 Located on the North shore of Clew Bay with views of Croagh Patrick to the South, the links is a challenge for all levels of golfers. Whether it’s 18 or 9 hole golf that interests you take a look at the magnificent courses, listed below, in and around Mulranny. One of which played host to the 2002 Smurfit Irish PGA Championship.